Rustic Blue Kangaroo Island is located in Kangaroo Island, Australia. We can cater for small groups, whether it's a small wedding or a special interest group. 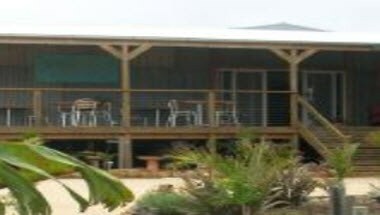 Our covered deck area can seat 30 people, however it is open on one side so in the winter or during a change in the weather it can be breezy & cool. Our downstairs area has a lovely paved and lawned area. 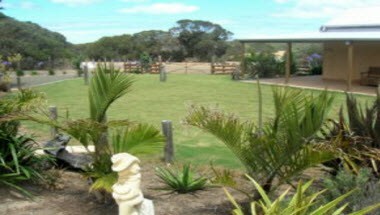 We have immaculate garden areas that are suitable to host a wedding ceremony or you can venture into the bush where we have some spectacular big trees & yakka bushes that would be perfect for a ceremony and then have a casual reception at the Gallery gardens. 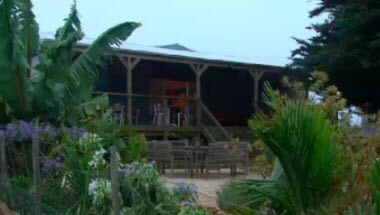 Rustic Blue Kangaroo Island is the ideal venue for your events and small conferences.